So it won’t happen after all. At least not legally. 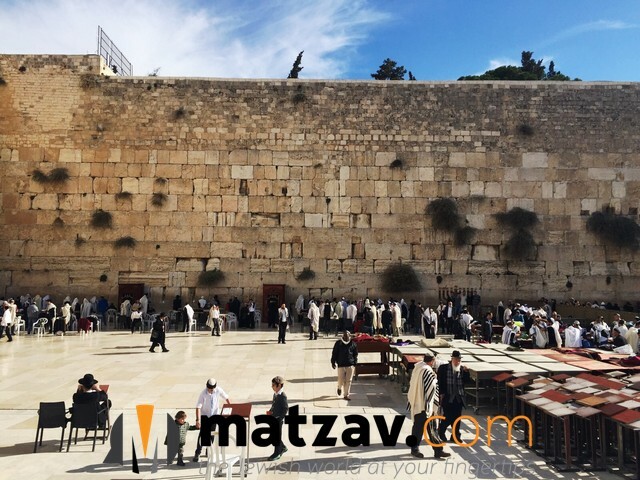 On Thursday, Israeli Attorney General Avichai Mandelblit forbade the rabble-rousing Women of the Wall group from holding a Birchas Kohanos ceremony in the ezras noshim of the Kosel on Chol Hamoed Pesach. WOW had planned to hold the fabricated ceremony to continue to antagonize the frum world and try to shake the status quo at the Kosel, as they have been doing with their “egalitarian” prayer section and their regular shenanigans, such as having women read from a Sefer Torah. WOW is thumbing its nose at Mandelblit, saying that it will proceed with the ceremony anyway on Sunday, the first day of Chol Hamoed. “We disagree with the attorney general’s [decision]…,” sais Riki Shapiro, an attorney and WOW “board member,” in a statement. 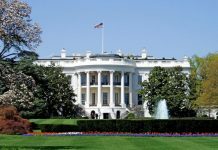 “It is infuriating that the decision was given to us at the last moment, without the benefit of hearing our side before making it, as required by Israel’s Administrative Law. Also, the decision was made at such a time that we cannot appeal it to the Supreme Court,” she says. The WOW provokers say they will be at the Kosel at 8:45 a.m. 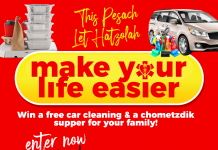 This Pesach Season let Lakewood Hatzolah Make your LIFE easier! Women Off the Wall. Institutionalize these mishuganes. Try electric shock therapy, ice cold baths, astronaut spinning machines… Just quarantine these Women Off the Wall away from the other patients, so as not to infect the entire institution with MarxismMussolinism and FemiNazIslamism. It’s painful to imagine the WOW inspired asylum revolt: festive Mao and Khomeini portraits, flowing red flags with pink swastikas in green circles, high heels goose stepping under cacophonic accomponiment of nasal muezzins and Prussian marches, barking Hillary leading the procession to smash the vending machine and steal the candy… Keep Women Off the Wall well straight jacketed. 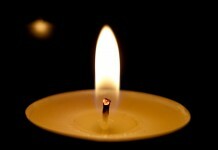 The Israeli atheistic government allows each month to carry out their anti religious behavior. I was present on two occasions and yelled at these Jew haters. They are made up of reformed secularists who seek israel destruction. If this continues we may lose the kossel as we are allowing a mockery of Torah Judaism to be under attack from a handful of wild women.